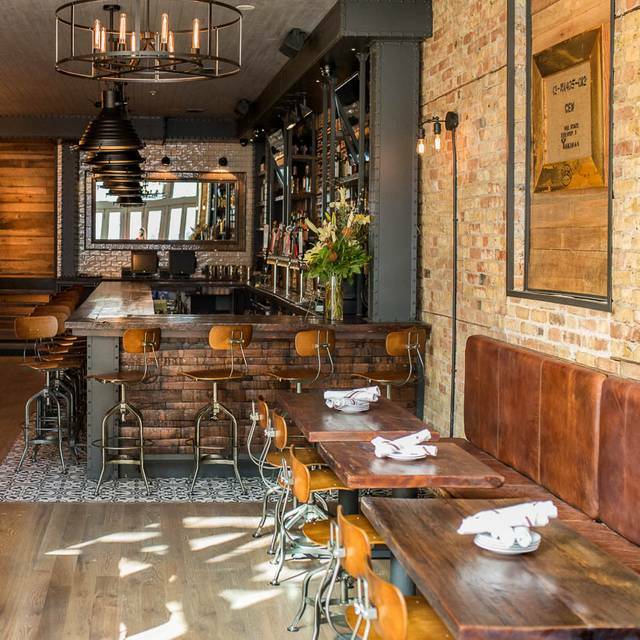 Please note that we will be opening at 7 AM on October 7th for the Chicago marathon and Monday, October 8th we are open for lunch at 11:30 AM. At Centennial, our passion is craft beer and our focus is simple: to celebrate craft beer. Beer can bring people together on a common ground and has the ability to create a community. Beer can elevate food. Beer is culture. 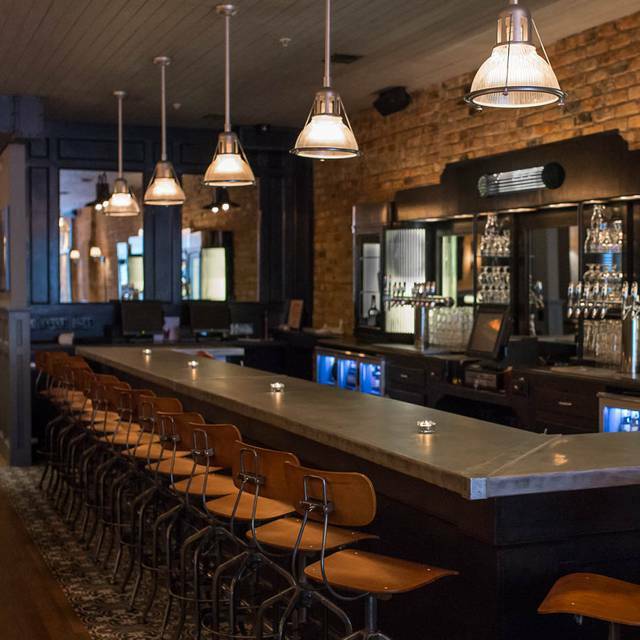 We feature 56 taps with a selection of 36 rotating craft beers. In addition to our taps, we feature a high volume of beers available in bottles and cans, as well as a curated selection of craft spirits and wines. 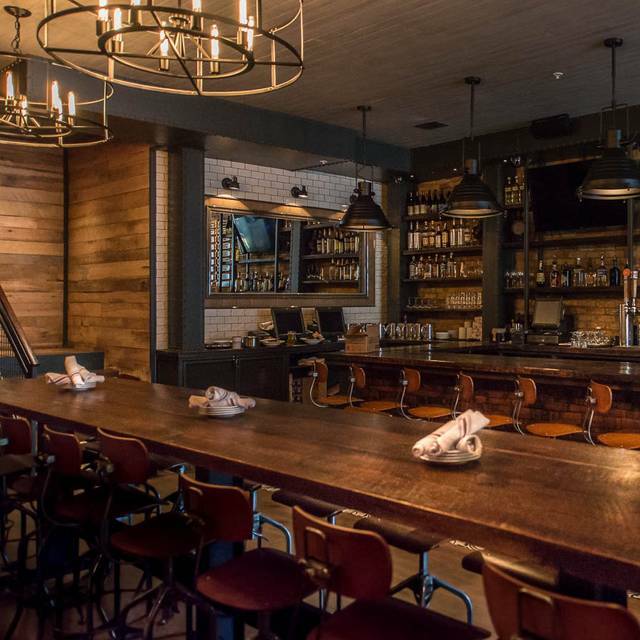 Centennial also features chef-driven food with an emphasis on craft beer. The menu focuses on beer pairings and incorporating beer as an ingredient. 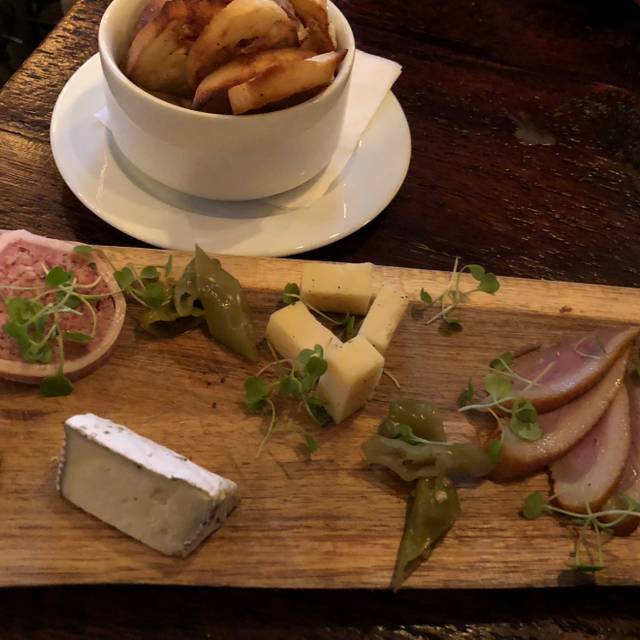 Centennial also features a house made charcuterie program in addition to a menu with emphasis on smoked, char grilled, and wood-fired ingredients. We did not eat food, we were sampling different beers. But the service and selection were excellent. I believe our server was Tony, and he was knowledgeable and friendly - the type of person you want to help you through a menu of drinks never tried before. I would definitely be back next time in Chicago. 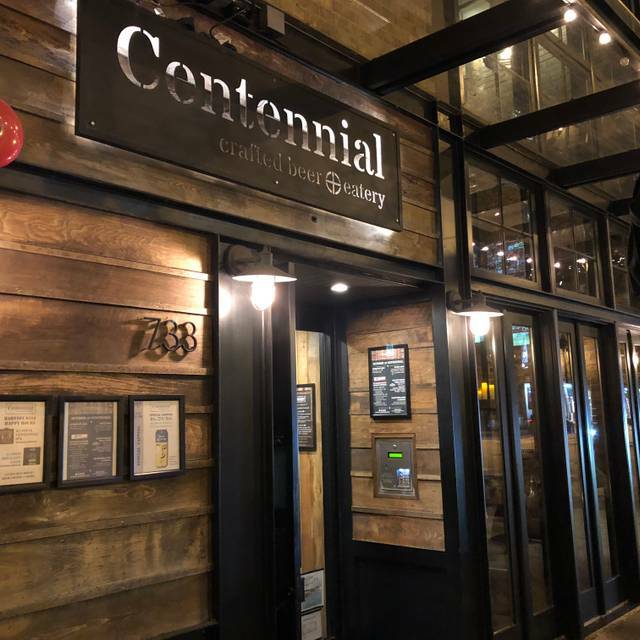 Centennial has been consistent on each visit, whether for dinner, brunch, or late night drinks. The staff has been friendly and helpful every time. 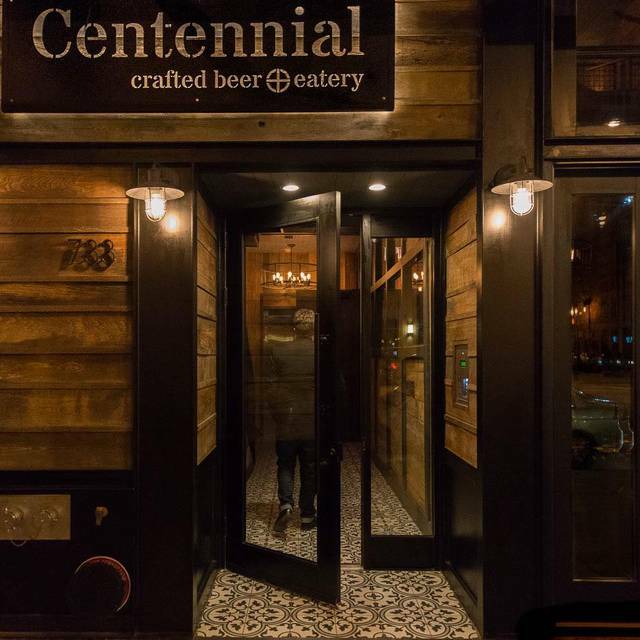 Centennial is high on my list when i’m trying to decide where to eat when i’m in the Loop. Great beer & cider selections. Pretzel loaf is a little strange. Good times. Good beer! Loved the Macadamia nut Cake Ale. Good happy hour, with two great beers to choose from! Worth ordering the house chips and cheese drip to go along with the beer. Overall enjoyed the experience. Very cool setting, but sadly the host placed us extremely close to another party despite having the entire dining room devoid of other folks..bit of a tight squeeze that dampened the experience a bit along with lack of attentiveness closing out. Again, worth the visit regardless. Awesome local bar with great food, staff, and beer! Chris and Heather take special care of their guests. The food is always excellent. It's our favorite neighborhood haunt. Our group had a good time - great service. Would like to see a better wine selection for those that don't necessarily drink beer. The staff was outstanding. Very friendly and helpful without being intrusive. The ambiance of the place is really nice, it's super loud so not the place you might want to go to if on a date. The service was off the night we went- from slow service to the server being a bit neglectful of our table. It was odd that I requested a drink with Ketel One after seeing it on their menu and the waiter telling me that they don't serve Ketel- without any further details or recommendations. We met up with another couple and our toddler son. They had highchairs but not sure I would recommend it for kids, which is OK, not a complaint. Great beer list & good food. I would go back. Beer list is amazing, service was perfect, food paired well with beer. The pulled BBQ pork will put hair on your chest it’s so freaking spicy (and I like a little heat). Also our server was incredibly salty with us for asking to order something else. Additionally, she was rushing us along and we felt forced to order and hurried along. It wasn’t really the way we wanted to spend our evening considering we were visiting with my brother and sister-in-law who we hadn’t seen in several months. Lackluster at best. Tastebud killing at worst. 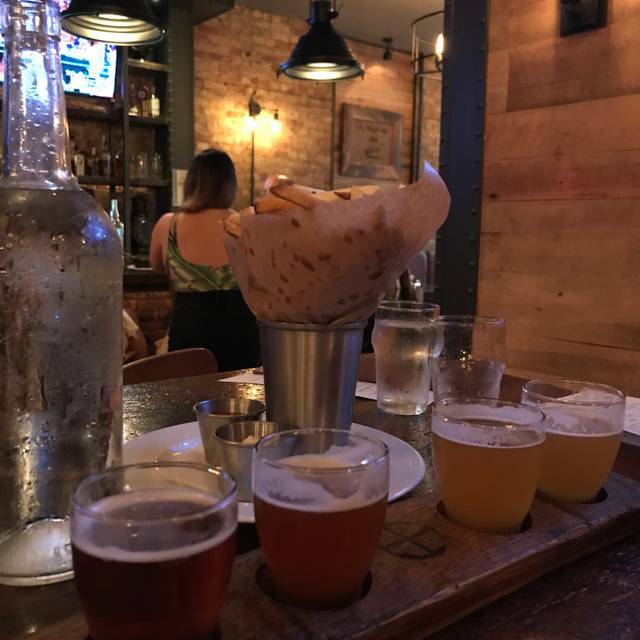 Best beer menu in the city with many craft brew drafts. Very good food to go with it. Very comfortable with nice interior design. Our server, Abby, was fantastic. Beer was off the charts great!!!! Food was above average. Appetizers great. Entrees okay. First time there. Great food, fantastic ambiance and really good customer service. Will definitely go back. Service was horrible. Took forever to order a drink and the same was true with our food. Ordered an app and it never came. Told them we didn’t want it as our dinner came. They never offered to Comp anything. Creative tasty food. 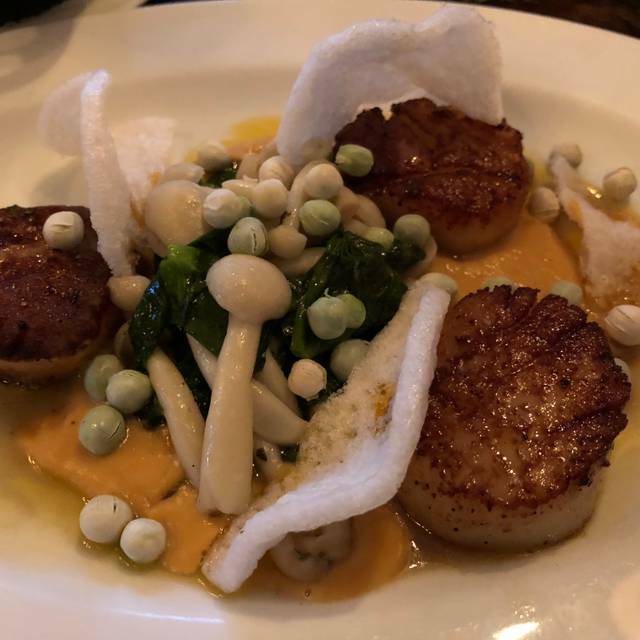 We went with small plates and were very satisfied with the quality of the food and service. The restaurant had a industrial, urban appeal. Seating was a combination of bar seating, small high tops and a couple long tables. We were there off peak but it looks like it would have a popular happy hour. There weren't that many people in there and it was still too noisy to hear Alice who was sitting across a small table from me. We couldn't find any corn in the fritters. The waiter said they were chopped up. A lot of breading. The roasted Brussels sprouts were very good, but oily. Service was slow and the food was good but not great. 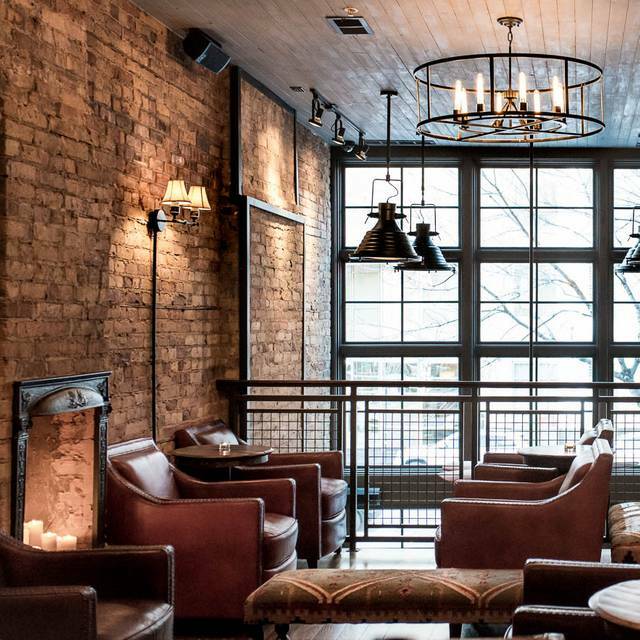 This place has tons of eclectic beers on tap, a hearty gastropub menu, cozy ambiance and excellent service. We especially enjoyed the beer cheese with house-made chips (addictive!) and the pork shank. I loved it so much, we went back the next night, but the kitchen had already closed. It’ll be on my list to visit again next time I’m in Chicago. Great place for a casual dinner with friends. Fun, lively atmosphere and nice setting. Lots of beers to try, many served in three different sizes, so you could sample them with a 5 oz glass. Food was nice, the Madras Chicken plate was what caught my eye on the menu and tasted great. Staff were friendly and service was good. It was busy, but you didn't feel rushed. Clearly it's popular. Noise level was fine. Would eat here again on another trip to Chicago and happy to recommend. Centennial offered a great menu with creative options. All of the dishes I tasted were excellently prepared. I also enjoyed the atmosphere and will definitely be back. Extensive beer list and excellent food. Highly recommend. Sat upstairs and the service was great. Food overall was good except for the "carrot" with phyllo dough (it was undercooked). In general, a pleasant experience and would recommend. Everything was superb from food to service. The staff was very pleasant and accommodating. On top of having great food and great beer, the staff was really facing some challenges the night I visited. A party upstairs that couldn't follow directions; diners downstairs lingering at tables which meant my reserved table wasn't quite ready; a pop-up thunderstorm pushing the outside diners inside (including me). The host let me stand and eat at his host stand (there was literally nowhere else in the restaurant to stand) and he took care of me personally for the rest of the night. I watched (and enjoyed really good food) as they handled challenge after challenge with poise and skill - truly one of the most professionally put together wait staffs I have seen. Relaxed atmosphere. Menu crafted with care and executed with skills. We picked this restaurant because my husband loves to try different beers. The decor is warm and inviting but we were disappointed with the food menu. For us it seemed as if they were serving a menu a bit upscale for a restaurant that touts itself as a beer place. My husband had a hard time finding anything he wanted to order. We didn’t expect a burger joint, but just a menu less fancy. Service was excellent except for the fact that we checked in for our reservation but they reported us to OpenTable as a no show. My boyfriend and I came here for the WarPigs limited release of 'Four Phantoms' and had a great experience! They said they had run out of the WarPigs pint glasses they were giving away and only gave us 1. The guy who was at our table was actually a rep from WarPigs/3 Floyds and gave us 2 WarPigs hats since he felt bad that they ran out of the pint glasses. Eventually we did actually get another pint glass somehow because he got another one for us. Glad we got to try Four Phantoms because it tasted great and they only had 30 kegs of it made. The food was also great! We ordered the beer cheese with chips. I had the fried sweet potato and my boyfriend had the kbs barrel wood smoked pork. Overall I would def recommend coming here and will be back! 21st Birthday celebration- perfect experience! So grateful for the evening and memories. Thank you! My husband and I really enjoyed this place. It was a bit loud and the tables are quite close together; however, the food was great and the drink options were fantastic. Great bar staff! We got there pretty early and the whole staff was very friendly. We had a few appetizers and enjoyed just about all of them. The cocktails and beer selection were on point! Food was good, beer selection was AWESOME. The only knock I have is that the restaurant, both inside and out smelled awful. I think this was because the surrounding area smelled like trash and the entire front of the restaurant was opened up. I've been there before and didn't have this issue so I'd imagine it's just a byproduct of the summer season but it did take away from the experience a little bit. Overall, still recommend this place!